Next up in etnies&apos; recently introduced PAS Collection, in which the brand is crafting makeups for key cities throughout the world, is the "Los Angeles" rendition, which utilizes the Senix Hero silhouette. 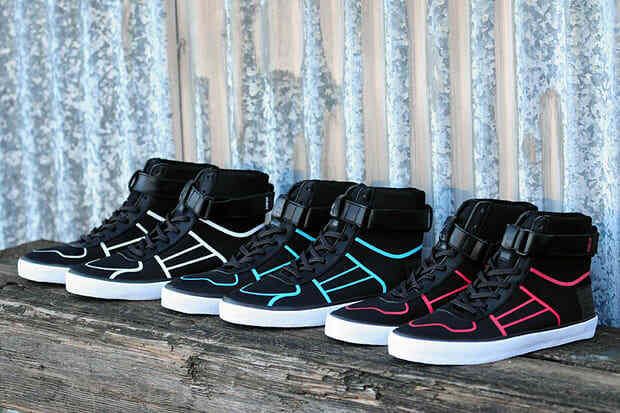 The trio of high-tops features a predominantly black upper, white midsole, tonal laces, and either white, blue, or red accenting trim. You will also notice an implemented ankle support to keep you locked in. If you&apos;re digging the futuristic set, better act fast as quantities are limited. Purchase via Livestock for $145.